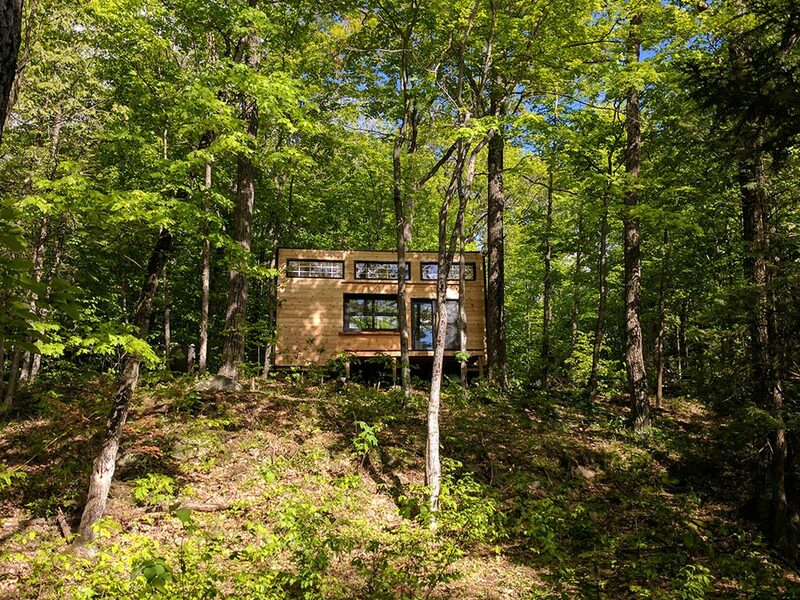 Ready to get away from it all? 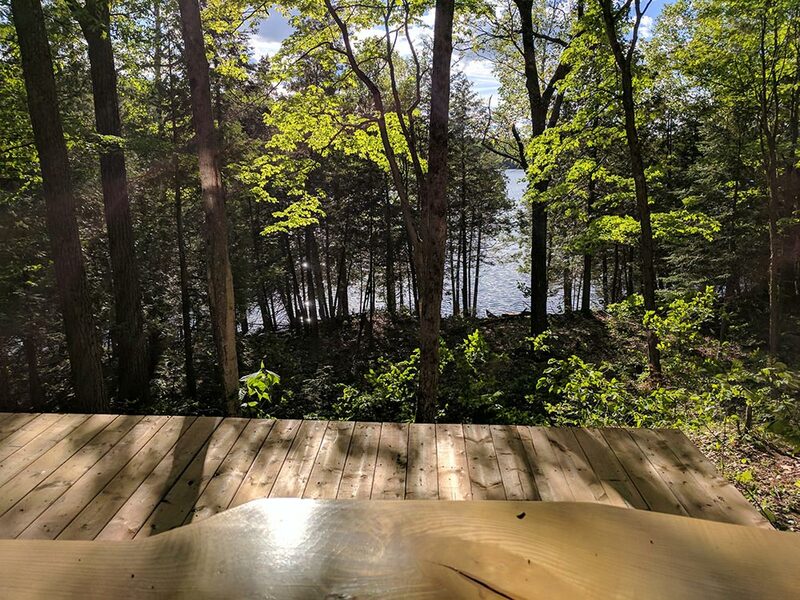 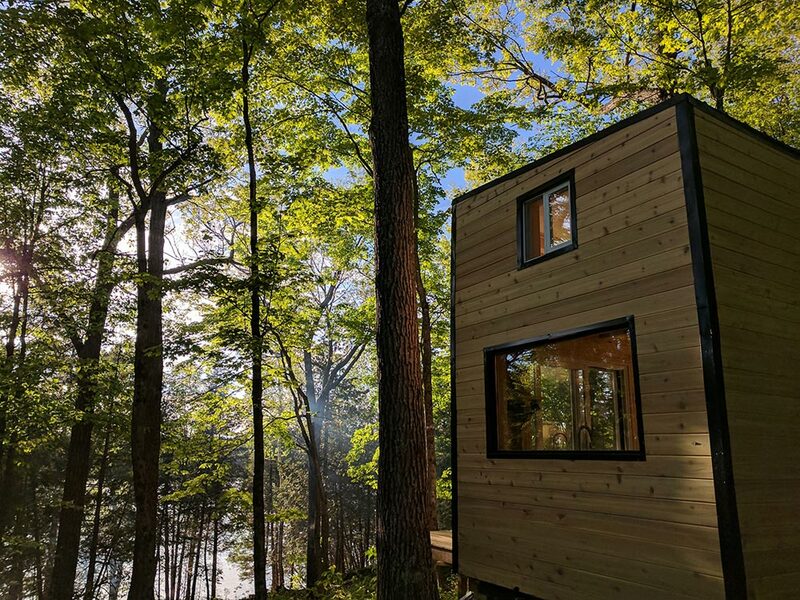 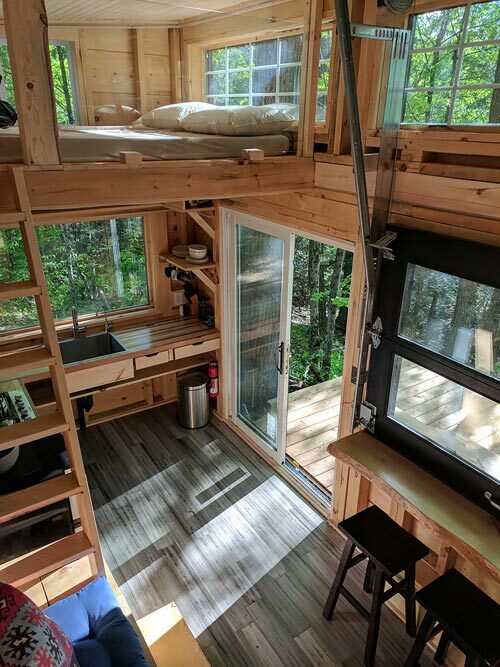 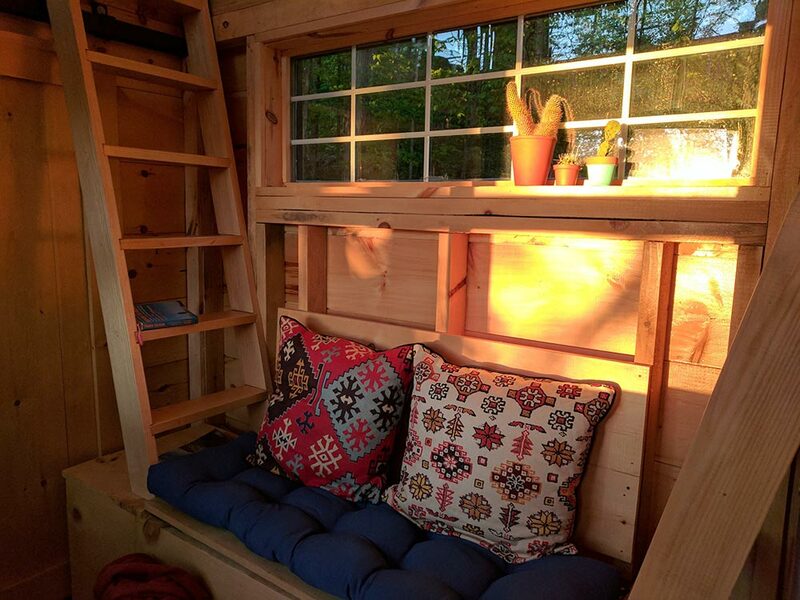 The Auburn tiny cabin is available for nightly rental in the woods of Central Frontenac, Ontario, Canada — 10 minutes outside the quaint village of Sharbot Lake. 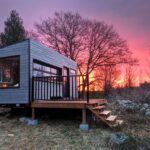 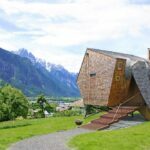 Built by Cabinscape, the off-grid tiny cabin was named after the rural village where she was built. 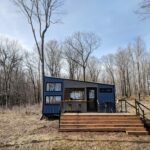 The Auburn is a rustic cabin with modern amenities and solar power, providing guests with the luxuries of home while in the tranquility of nature. 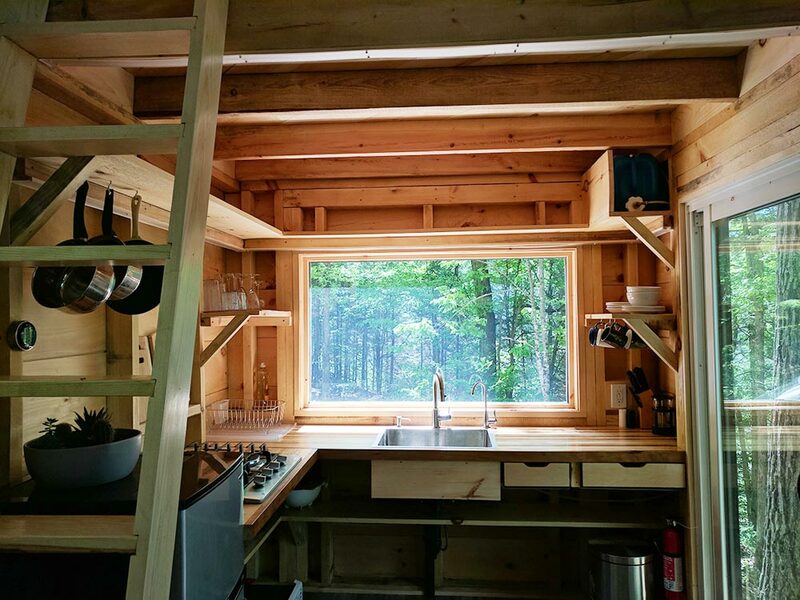 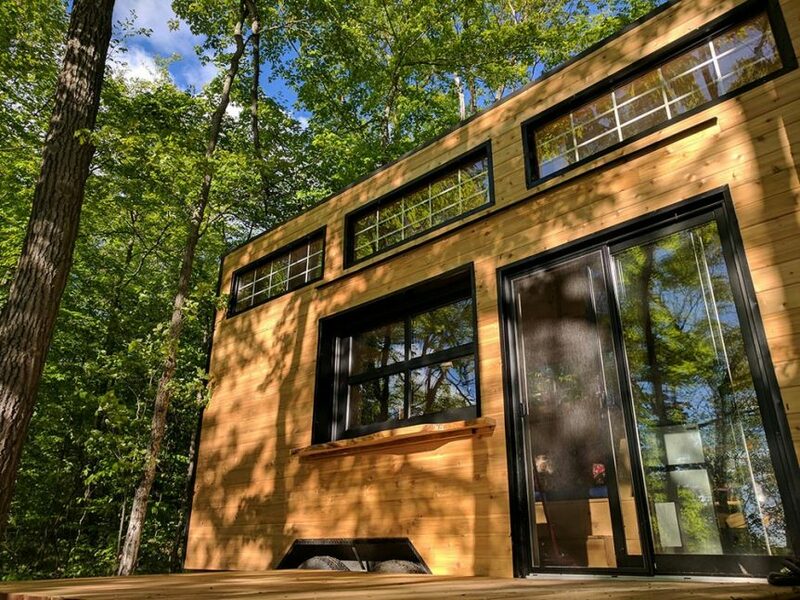 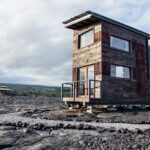 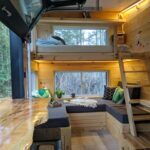 The cabin includes two queen lofts, a 4-burner gas stovetop, refrigerator/freezer, hot indoor shower, outdoor shower, indoor composting toilet, drinkable and running water, and an indoor/outdoor bar. 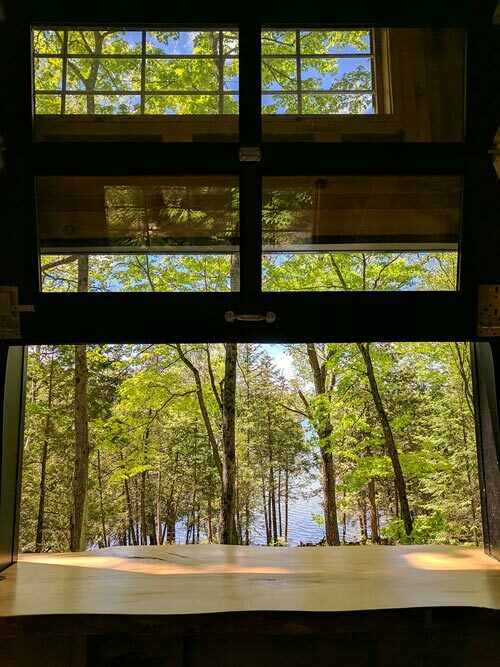 The cabin faces west, providing spectacular sunsets over the lake. 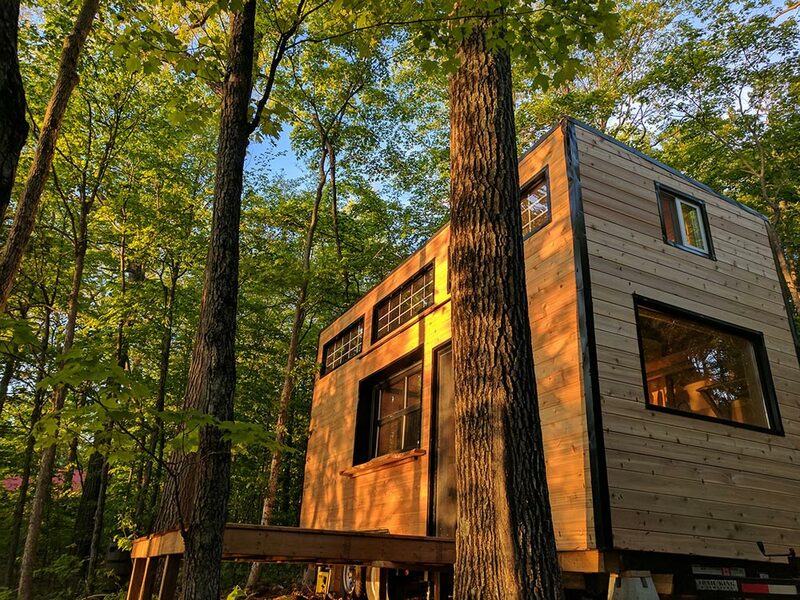 The cabin is located 1.5 hours from Ottawa and 3 hours from Toronto. 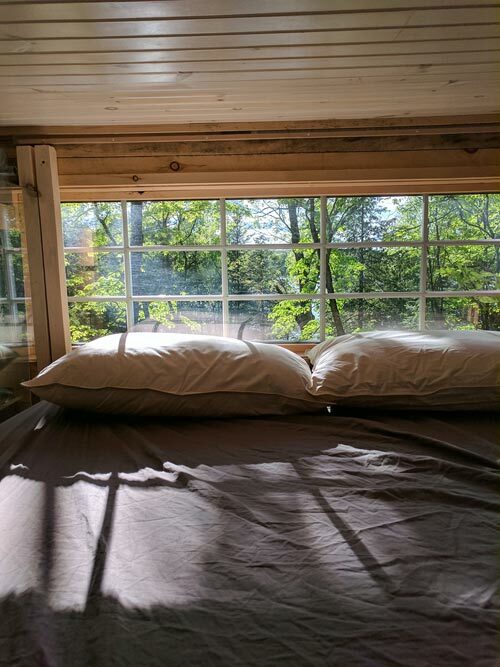 Rates start at $125 CAD per night or $850 CAD per week. 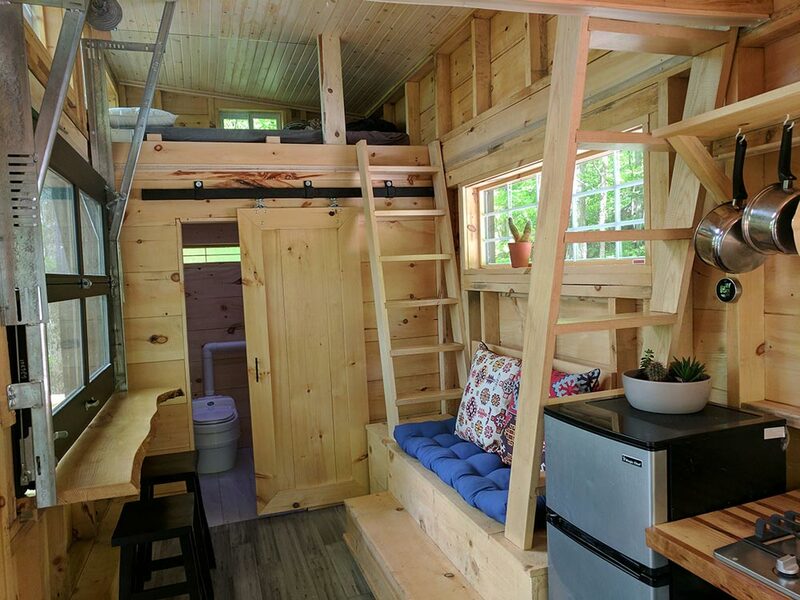 You can check availability and book on Airbnb. 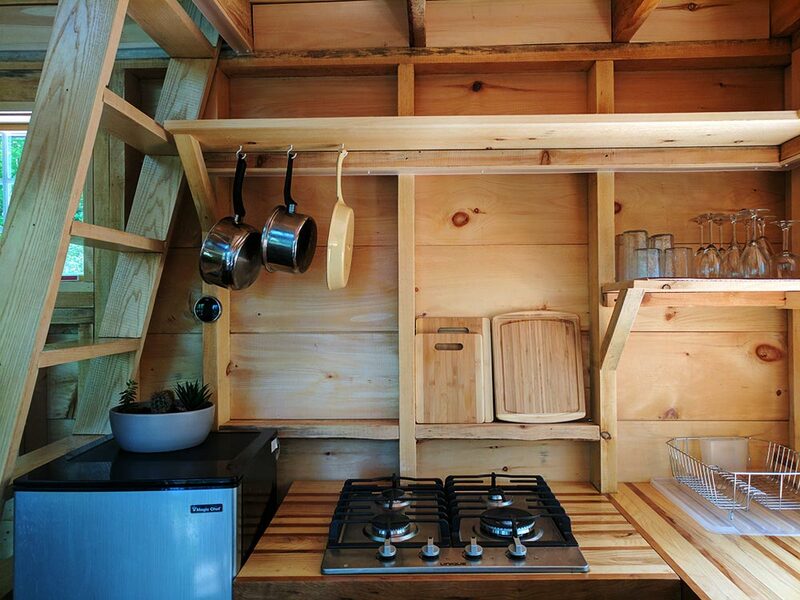 More details about the cabin can be found on the Cabinscape website. 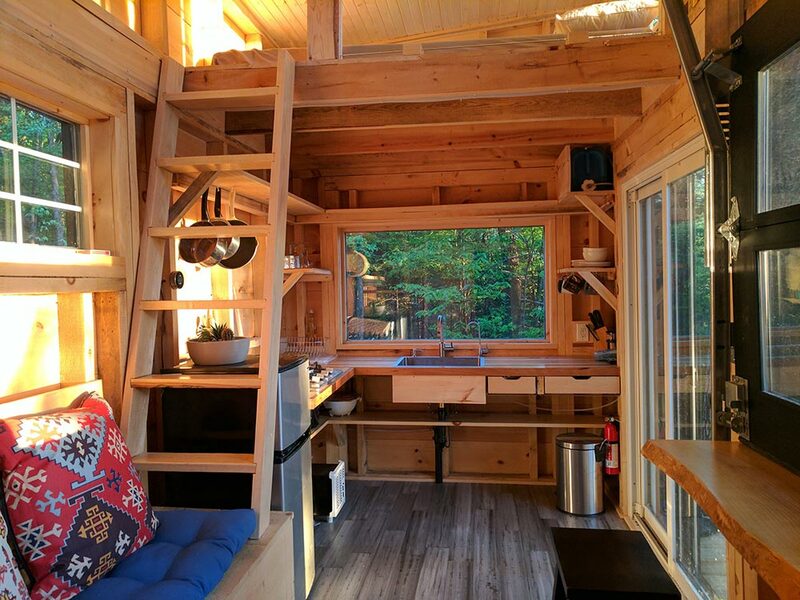 Also available through Cabinscape: Auburn, Dashi, Joni, Mason, Penner.